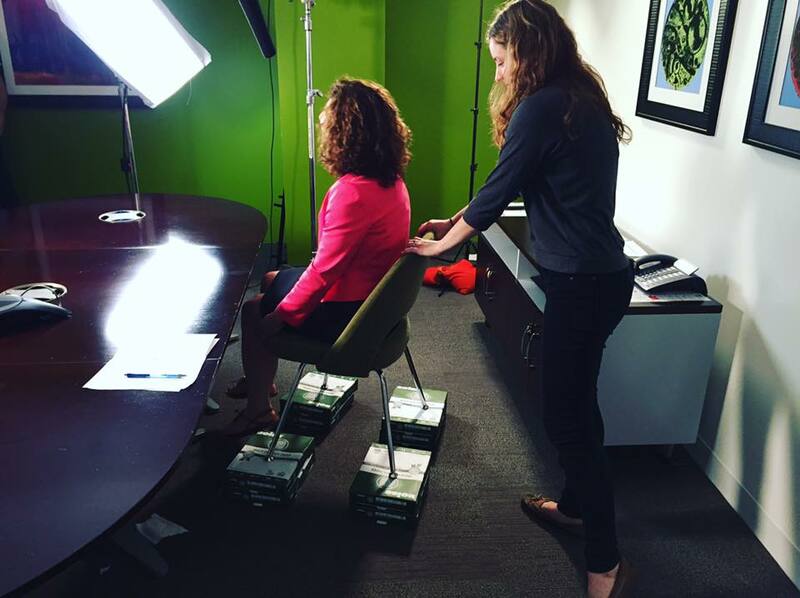 Check Out Our Redesigned Website and Lots of New Video Content! Watch as we take you from Atrium Health to Home. 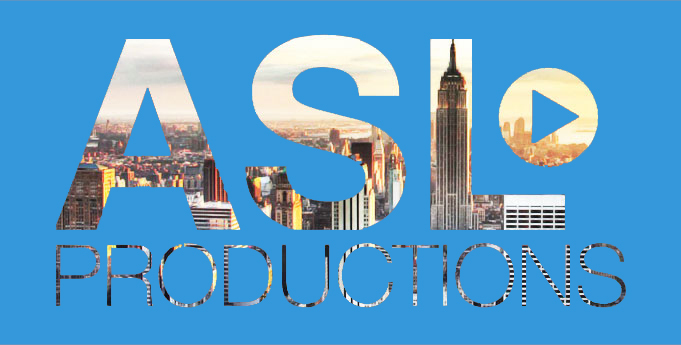 Lots of exciting things to tell you about starting with the redesign of our website – ASLProductions.com. Please check it out and feedback is always welcomed. We had a ton going on in June. 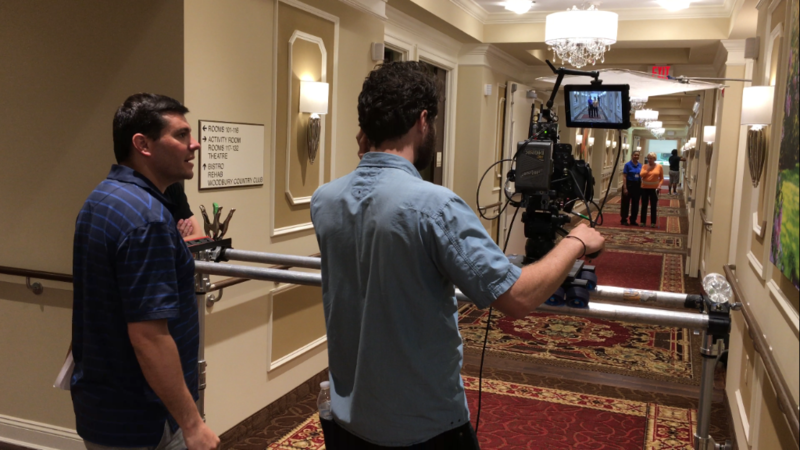 The month began on location in South Jersey filming a marketing video for Atrium Health & Senior Living’s new Woodbury facility. Above is a small sample of our cut. 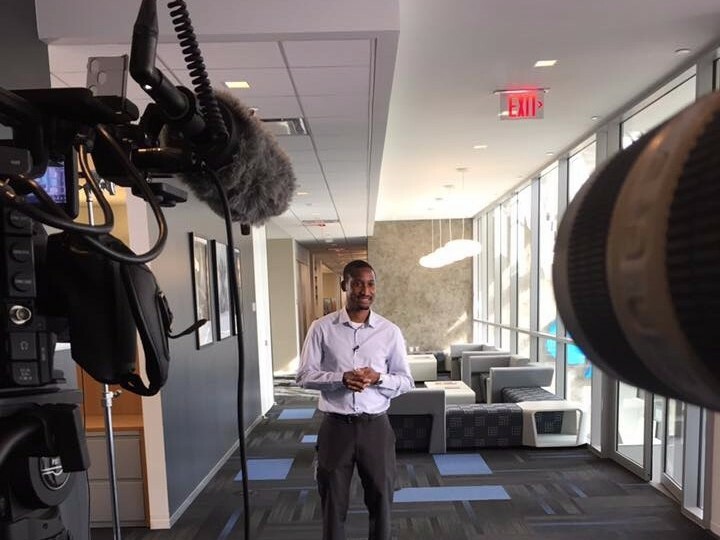 Next we headed to White Plains, NY to shoot a testimonial video for Willis Towers Watson, about a project they had with ITT. As you can tell by the picture above, we used a very sophisticated technique to make our interviewee line up perfectly in frame. After White Plains, it was back to NJ, this time for a shoot at Colgate in Piscataway. 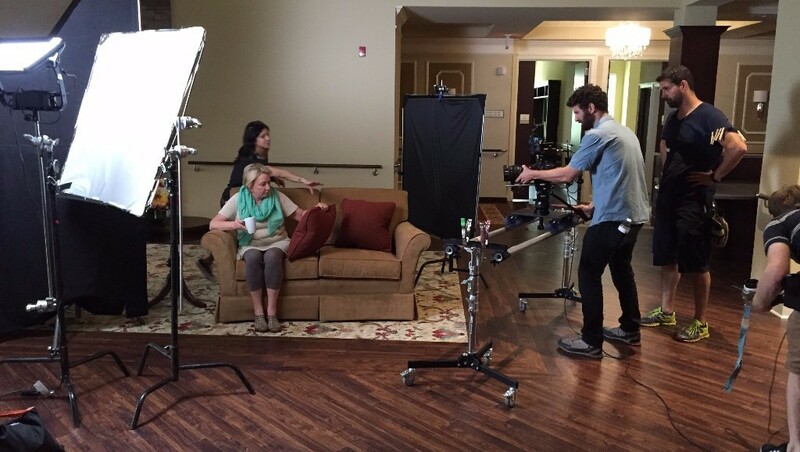 Filming their recruiting video was easy with the amenities they had including a soccer field, gym and spacious cafeteria. 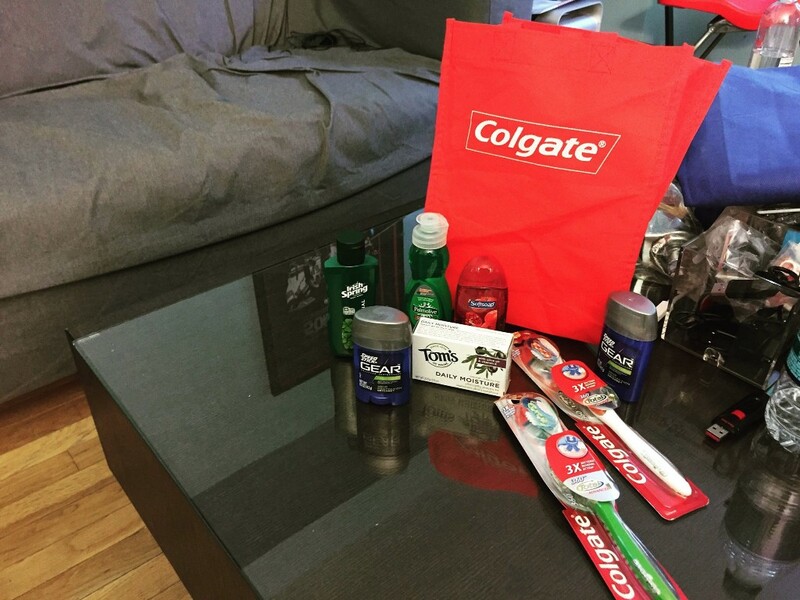 Also, the gift bag they sent us home with was greatly appreciated back at the office! 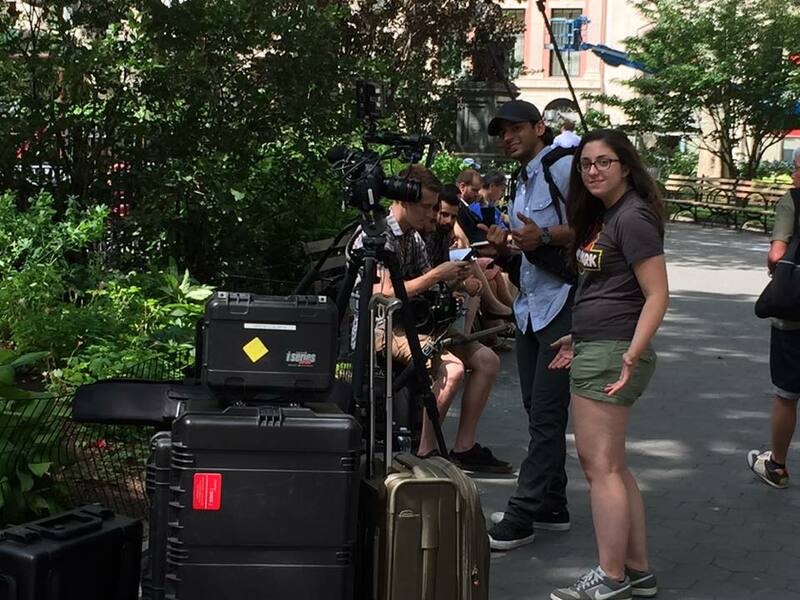 We followed that up with a shoot for the National Association of Music Merchants (NAMM) documenting 2016’s Make Music Day. 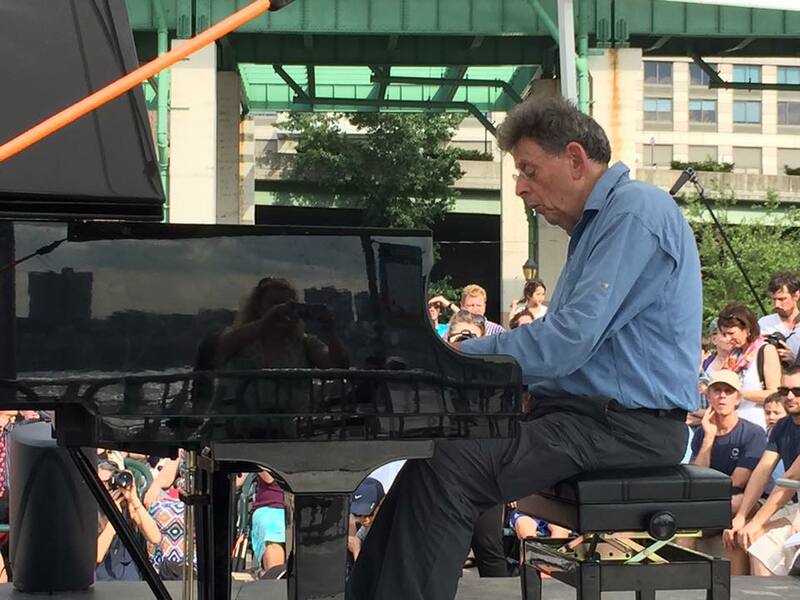 Highlights included free guitar lessons in Times Square, a percussion performance in Madison Square Park and a concert on Pier i featuring legendary pianist, Philip Glass. We’d like to give a shout out to Uber for effectively getting us everywhere we needed to go. Guess what? That was only half of the projects and news we have to share. Stay tuned for more and get in touch with us! We are ready to discuss any and all projects you have on the horizon. Email us at contact@ASLProductions.com or get social on Facebook, Twitter, Instagram, or ASLProductions.com. Thanks for your time, it is greatly appreciated!